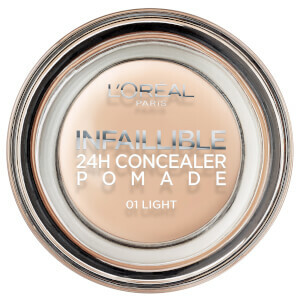 Add a flush of colour to your complexion with L'Oréal Paris 'Life's a Peach' Blush Powder; a warm, universal shade to suit all skin tones. Blending seamlessly onto skin, the peach-scented, high-pigmented blusher delivers a veil of natural-looking colour to lend the cheeks a radiant glow. Build lightly until your desired look is achieved. 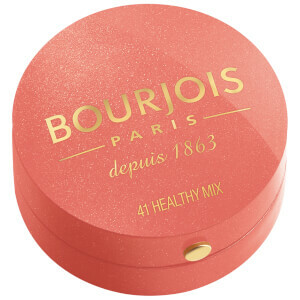 For a natural flush of colour, apply the blush on the apple of the cheeks, blending outwards. 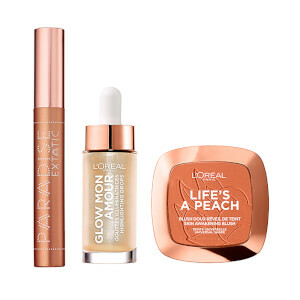 Build up with light layers until the desired shade of peach is achieved. 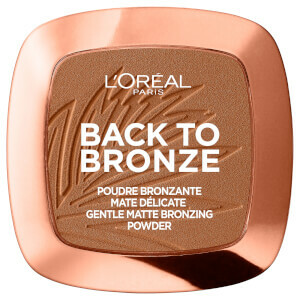 For a sculpted look, use after bronzing powder and blend up along the cheekbone. Talc, Synthetic Fluorphlogopite, Mica, Cocos Nucifera Oil / Coconut Oil, Zea Mays Starch / Corn Starch, Magnesium Stearate, Ci 77891 / Titanium Dioxide, Ci 77491 / Iron Oxides, Caprylyl Glycol, Ci 75470 / Carmine, Mangifera Indica Seed Butter / Mango Seed Butter, Theobroma Cacao Seed Butter / Cocoa Seed Butter, Prunus Persica Kernel Oil / Peach Kernel Oil, Parfum / Fragrance, Benzyl Alcohol.